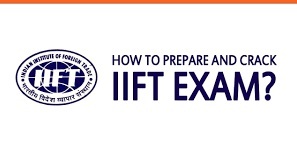 Welcome to the page where you can find some useful tips to prepare for the IIFT 2017. As you know, the application process for this test is going on now from the 25th of July 2017. You might have already applied or you might be planning to apply before the last date that falls on the 15th of September. With these things known, you also know that the test falls on the 3rd of December 2017. This means that you have less than four months left to prepare for this test. As you are looking for some useful tips to prepare for this test, here are some tips to help you out. Remember that some chapters in verbal ability and the entire quantitative ability section in IIFT are concept-driven chapters. This means that the questions you will get in these sections rely heavily on core concepts. This means that you cannot attempt a question that talks about cyclic quadrilateral if you are completely unaware of this concept. So, my suggestion is that you should prepare the crucial concepts in chapters like modern math, geometry, algebra and arithmetic chapters in the quantitative ability section. When you are thorough on the concepts, you can easily complete the concept-driven questions. General awareness section is an excellent example of the section with environment-sensitive questions. This means that to score well in this section, you should be familiar not just with the current happenings, but also with the past statistics. In the case of static GK, you can focus on topics like the political system, economics, geography, and history. In the case of current GK, you can refer to daily newspapers and keep yourself updated with the current affairs happening in different fields like politics and sports. Questions in logical reasoning and data interpretation are generally practice-intensive in nature. So, the key determinant for your success in this section is the familiarity you develop using the past question papers. For the DI section, you should practice many line charts, data tables, pie charts, and practice is the key to making this section easier for you. In the case of logical reasoning too practicing questions is the only technique to master yourself. Complex data situations and family trees are examples for the questions under logical reasoning. Verbal ability section: For this section, practice is the key and you should also improve your vocabulary to master this section. You will have to improve your reading speed as the paper will have 3-4 reading comprehension questions. In addition, you should strengthen your basic grammar and you can do this with the help of school books. In the case of usage-based questions like fill in the blanks and analogy, practice is the key to master. To tackle vocabulary questions, you should learn many words. You can just start by learning 4 or 5 new English words per day. Take a note of the words that you learn and keep revising them then and there. If you get an opportunity to write an essay, just try to use the words that you have learned recently. This practice will make the words and their meanings most memorable for you. In short, you can take up the IIFT 2017 with utmost confidence when you make your preparation on the basis of the different approaches discussed above. You should also sharpen your strategies to take the test. You should also get familiar with the test pattern with the help of past question papers of IIFT. Just approach the test with open-mindedness and let success be with you!